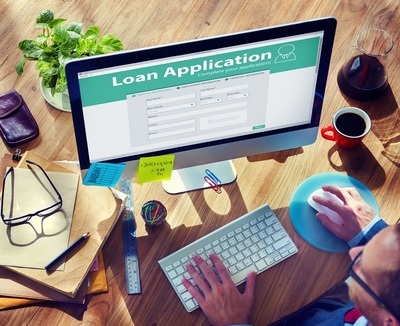 Many people to start a short-term business use the concept of caveat loans, which is also known as bridging loan. Many use this as a cash in caveat loan can be released easily and that too within a few days. This is helpful, especially in situations when you are in an urgent need of money or have a deadline. This loan can be arranged to tailor your financial needs. Either the reason may be to raise capital or maybe you are interested to invest in a property. You may also use it to buy stock for your business, which is of a great help. At times, when you need an emergency cash until, you have a long-term solution, caveat loan helps in many ways. The deposit amount once paid, you take a loan that will finance the sale unless you are able to sort out a conventional mortgage. The homeowner can use this loan to renovate the property. This will increase the value and the equity of the property. The bridging loan, as it is called can finance both the restoration as well as the refurbishment on the property. The investment one does on commercial property ideally should take this type of loan. This helps to get the finance as soon as possible and your business too can reap the benefit. The caveat loans are short term business loans so they are designed in such a way. The personals have the benefit to get finance within a period of 1 to six months. One can apply for this loan and the money to be available is a matter of not more than 24 hours. The lenders also will not create an obstacle, as a credit past that is poor. It works like an asset lend. It is secured against real estate like for example commercial property or house or may be land. Once the finance is released, the borrower just must pay an amount of money to the lender as fixed earlier until the amount is repaid completely. The caveat loans are a second security on any property. It is incorporated into the title unless and until it is repaid. They make it sure that the details are removed from the title. Usually, no hindrance will be there in form of the primary mortgage, as it is completely a separate issue. It also does not affect the payments of finance with them. The repayment of the loan can be done either through refinance, or through sale. One can also take the help of any other exit strategy, which the loan approves. The lenders only determine how you should pay back the loan amount. The lender also fixes the term. If for instance, you are selling your asset within a period of about six months, then the caveat loans will be serviced as per the proceeds of the sale. The refinance specialists are a perfect guide to the borrowers to get the best refinancing product. Is it practical way to take loan? The caveat loans are a good option if you are sure that the buyer will pay before the term of the loan gets over. These loans come with usually high interest rate so you must refinance your existing home loan as well as consolidate your debts. You may also switch into fixed rate or lock the interest rate if possible. It is like a second mortgage in which the loan is secured against a house or any real estate property. However, the property must be in the name of the borrower.